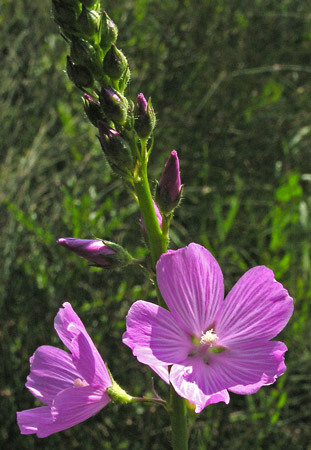 Both Sidalcea candida and Sidalcea neomexicana have large, showy flowers, round basal leaves, lobed upper leaves, and grow to about three feet in the moist areas they enjoy. In 1849 Asa Gray named this genus and both the species pictured below from specimens collected by Augustus Fendler in 1847. 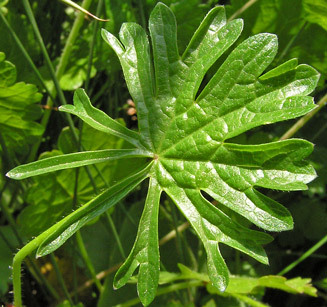 Fendler collected Sidalcea candida in a "Creek bottom, near the creek in Santa Fe... 24 June-28 July 1847". 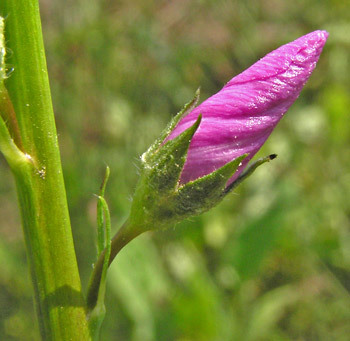 Fendler collected Sidalcea neomexicana in "moist meadows, Santa Fe... 30 June-31 July 1847". 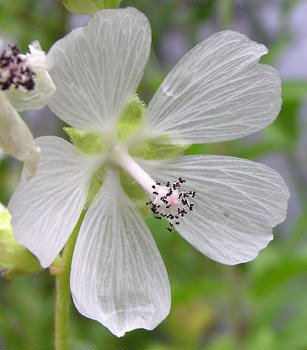 Sida (Greek for "side", a name used by Theophrastus for a water plant) and Alcea (Greek for a kind of Mallow and the present day scientific name of the garden Hollyhock) are two Malvaceae genera. Montane, subalpine. Streamsides, wetlands. Summer. 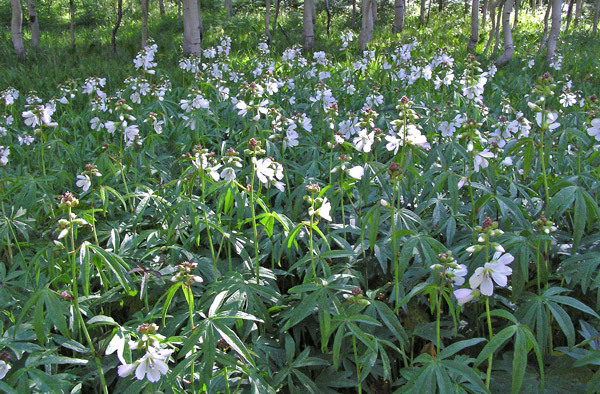 Little Taylor Creek Trail, July 28, 2005. Near Chris Park Trail, July 12, 2007. 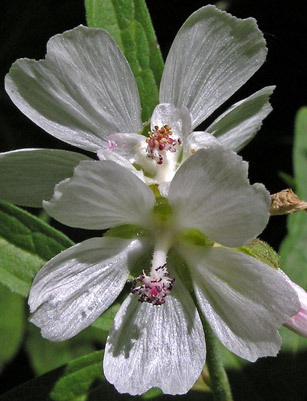 Checker Mallow grows straight, slim, and tall (to three feet) and has clusters of two inch white flowers making it an attractive and conspicuous plant. 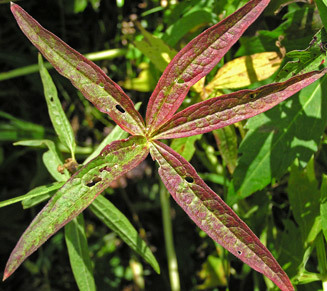 Look for it in the same moist forests and meadows that Rudbeckia laciniata grows in. 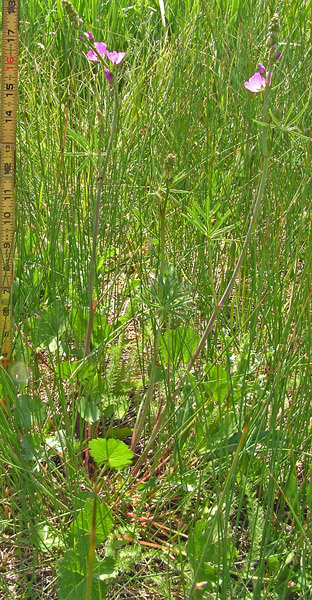 The two often grow so densely that they completely obscure the ground with their tall luxuriant growth. 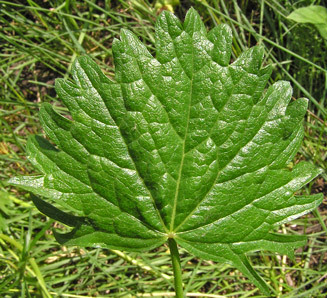 "Candida" is Latin for for "brilliant white". Kilpacker Trail, August 29, 2005 and August 28, 2014. 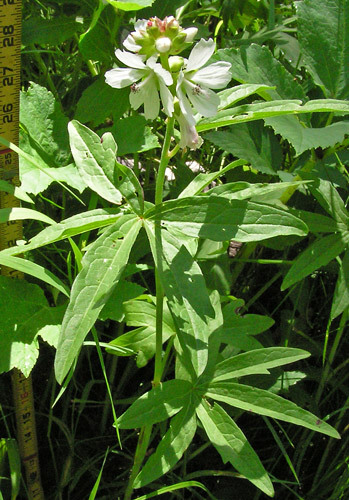 Sidalcea candida is rhizomatous and commonly grows in clusters of plants, even in dense patches. 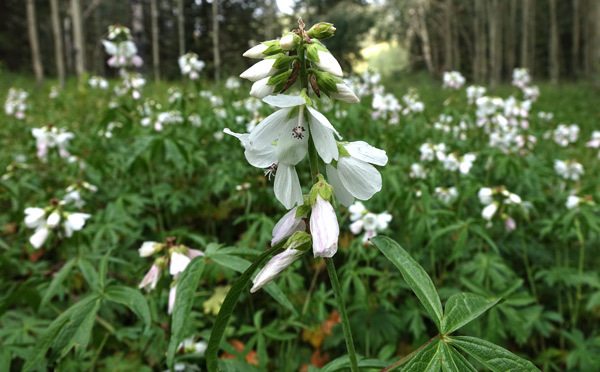 But be sure to focus on the beauty of individual flowers as well as on the overall display. Little Taylor Creek Trail, August 20, 2007. Haviland Lake Trail, June 28, 2004. 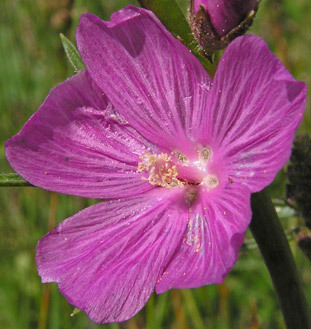 Sidalcea neomexicana grows to 3 feet tall with numerous, showy pink flowers. 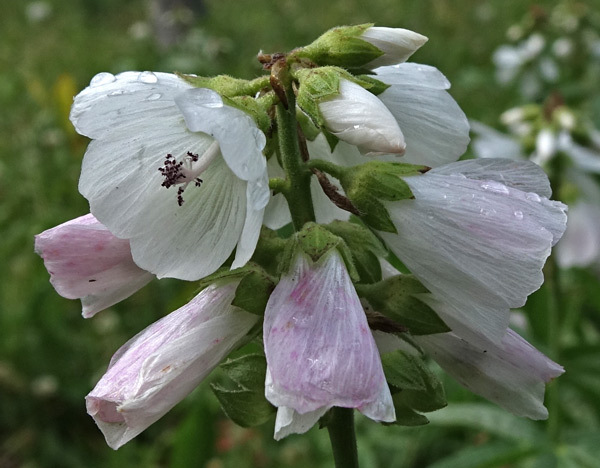 Like its cousin shown above, this Sidalcea likes to have its feet wet, so you will find it along stream banks, in wet meadows, and near seeps. Haviland Lake Trail, July 1, 2005. Lone Mesa State Park, June 6, 2009. 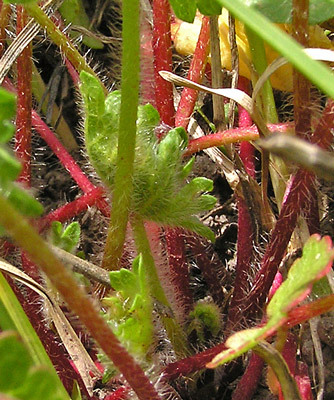 A close look at basal leaves and stems shows numerous silky hairs. 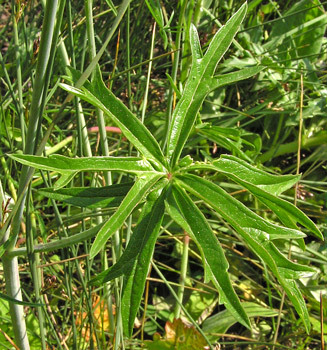 Nearly circular and lobed basal leaves; more deeply incised mid-plant leaves; and deeply incised upper leaves all belong to Sidalcea neomexicana.